Debra Anastasia certainly brings her ‘A’ Game with For All the Evers. I absolutely adored her Poughkeepsie series and it was great to see her return to the more serious side of her writing. For me, this is where she excels and not only does she deliver an original, gripping story but one that was intense, heartfelt, emotional and stunningly written. Thomas F McHugh is actually Debra Anastasia’s uncle and while he is forever immortalised for his bravery, he was a young soldier that never had the chance to have a family of his own. 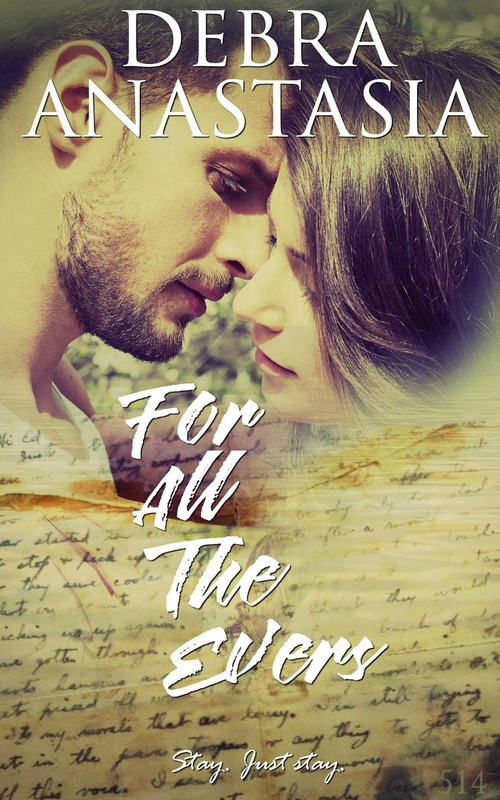 He succumbed to war before he had the chance to find love, get married and have a family, so in honour of his memory Debra Anastasia gives him a memorable romance. It may be fiction, but it was stunningly beautiful, heart wrenching and worthy of a purple heart recipient. Fallen Billow is a woman struggling to raise her brother while trying to fend off the unwanted selfishness of an alcoholic mother. A mother who has deserted her kids, yet turns up regularly like a bad penny inciting more destitution and heart ache. Fallen lands a job at a hotel as a chamber maid and it is up to her to keep the fifth-floor spick and span and ready for guests. Room 514 is never occupied but needs to be cleaned daily. It seems that this room has been immortalised for the owner’s parents. Fallen is warned to never fall asleep in Room 514, but as anyone knows, when you tell someone not to do something… curiosity killed the cat… but in this case… sleep transports you to an alternate dream like reality where you are destined to find your soul mate. Room 514 becomes a drug to those that sleep there, it can bring out the best and worst in people and in this book, you see both ends of the spectrum. Room 514 brings Fallen, Thomas McHugh, but also the unwanted advances of another man called Lad, who is desperate to keep them apart. The fantasy aspect of this book is normally a turn off for me, but it gave this book an ethereal feel as time suspends reality, it was a timeless fairy tale, but would there be a happy ending? This book was highly addictive and I couldn’t put it down. This story is as heart breaking as it is heart-warming and you will constantly find yourself in a state of frenzy championing these two along as you desperately hope that somehow, someway these two could find a way to be together, even if the odds and the past are stacked up against them. 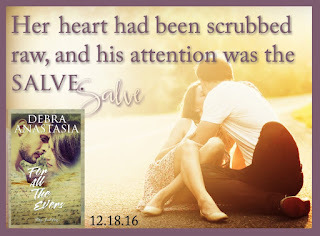 I found myself hurriedly anticipating Thursdays as Debra Anastasia delivers the magic. 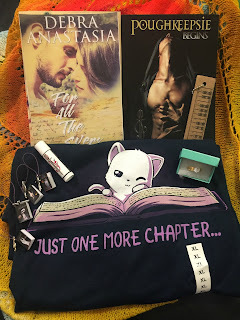 While the outside world was as interesting I was desperate for those intense romantic encounters between Thomas and Fallen where fate brought them together and destiny keeps them apart. I adored this book, I laughed, I cried, I swooned, but most of all my heart was full to bursting for the sentiments behind this book and what Debra Anastasia created to give her uncle the life he deserved. Even though I have given this five stars, because it truly deserved it, I would have loved more at the end. While this book gives closure, I feel that there is another book in there, or at least a novella. I will be begging Debra to write more. This is one couple that will stay with you for a long time, amazing book.